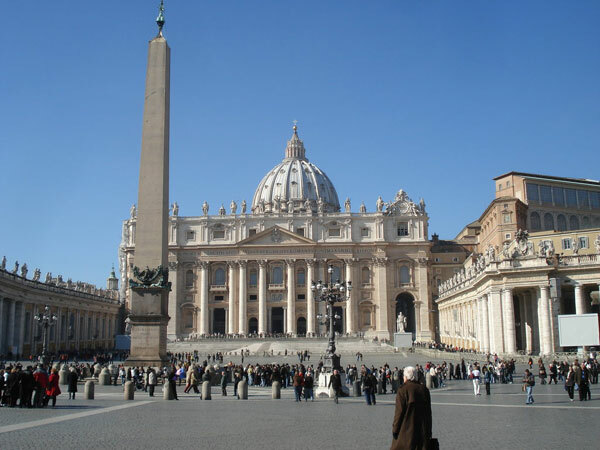 On this day in 1586 the scaffolding was removed from the Vatican obelisk. Egyptians always raised these tall needles in pairs; Roman emperors first decided they could stand alone as swell decorations to mark the spina of a race track; later they were adopted to adorn the centers of plazas (and not just in Rome). 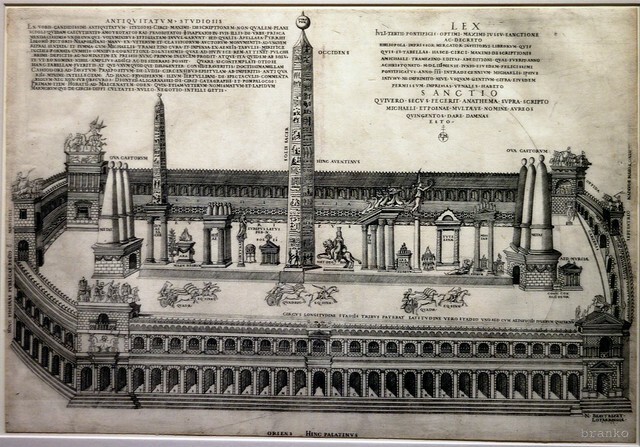 The one at the Vatican, a Fifth-Dynasty granite obelisk, was first moved from Heliopolis to Alexandria by Augustus; in 37 AD Caligula had it moved to a circus in Rome. In 1586 Sixtus V decided it belonged in the piazza planned for the front of St. Peter’s Basilica, and ordered that it be moved. 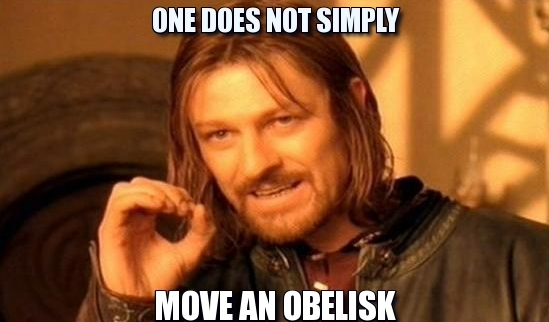 But one does not simply move an obelisk. Over 25 meters high and weighing some 327 tons, the slender monolith is a heavy, fragile thing. The brain power behind the operation was Domenico Fontana (1543-1607), an eminently gifted architect/engineer from this time that didn’t have the need to separate those two disciplines. Fontana, who also completed construction on the dome of St. Peter’s as designed by Michelangelo, was skilled with maths and statics. 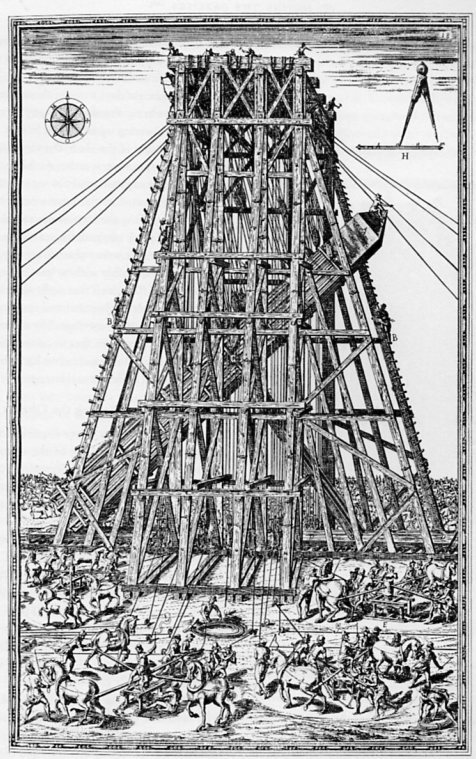 He engineered a gantry crane and utilized giant pulleys and levers (measuring over 50′) and 40 winches powered by horses, and the labor of some 900 men to lower, move, and re-erect the obelisk at the Vatican, where it remains today. 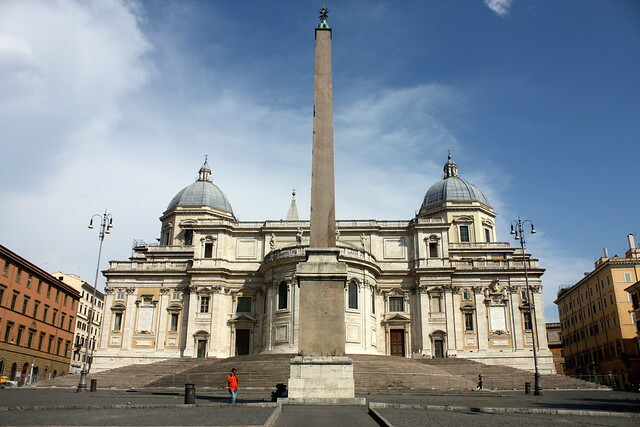 Sixtus was just getting started with his plan to fix up Rome, so Fontana was then put to the tasks of moving three more: the 24-meter Flaminio Obelisk was taken to the Piazza del Popolo, the Esquilino Obelisk positioned behind S. Maria Maggiore, and the very tall, 32-meter Lateranense Obelisk (originally swiped from the Temple of Amun at Karnak) shuttled over to the Piazza di S. Giovanni in Lateran. Fontana moved these all into place, apparently with relative ease, and attracting such attention that he eventually published a book on the move of the Lateran Obelisk. Show off. Image: what, a Muse can’t enjoy a meme? You are currently reading September 28: not a simple thing at Clio’s Calendar: Daily Musings on Architectural History.